Vegetarians are often asked how they can survive without meat, and now they have their answer: beans. When searching for a meat alternative that would still leave consumers feeling full, researchers at the University of Minnesota discovered that beans may be the perfect swap. Like red meat, beans are rich in protein, the number one nutrient in producing the feeling of fullness. The study, published in the Journal of Food Science, could then inspire consumers looking to maintain or lose weight with more meat-free meals. For the study, the research team asked 28 participants to try two different lunches containing meatloaf; one meatloaf was made primarily from beef and the other was made primarily from beans. The beef meatloaf provided consumers with 26 grams of protein and 3 grams of fiber, while the bean version provided 17 grams of protein and 12 grams of fiber. Both versions provided the same amount of calories and total fat — and after three hours of eating the different lunches, participants rated their appetite the same. Protein is important for maintaining strong muscles and bones, a healthy immune system, and preventing fatigue, but consumers aren't limited to red meat. Making the switch from meat-based meals to bean-based meals can have equal, lasting effects on diet overtime. Throughout human history, beans have been a diet staple. Yet, according to The Bean Institute, most Americans today are not eating enough of them. The American Dietetic Association list beans as a “healthy food exchange” for weight loss, and studies have shown incorporating 3 cups of cooked beans into your diet each week helps reduce the risk of chronic diseases, such as obesity, cancer, diabetes, and heart disease. On the other side of the table, consuming meat this regularly can have adverse effects. Research conducted at Harvard School of Public Health found that eating even small 3-ounce servings of unprocessed red meat on a regular basis could increase the risk of heart disease and stroke. Eating processed red meats, including lunchmeats, sausage, and bacon, was also linked to an increased risk of cardiovascular disease. However, all protein is not created equal. Protein is built from building blocks called amino acids, which are made by the body in two different ways. It’s either derived from the body or found in food sources. Some essential amino acids must come from food and animal protein tends to deliver the complete package of amino acids the body needs. Plant-based proteins often lack one or more essential amino acids, which is why making the full switch to a meat-less diet can be difficult. By carefully measuring out and combining multiple servings of grains, seeds, and beans, vegetarians can achieve a full set of amino acids. After protein, beans are high in fiber, which helps suppress appetite by slowing down the digestion process. Fiber also plays a role in controlling blood sugar levels. The more fiber beans have, the more it makes up for the nutrients richer in red meat. 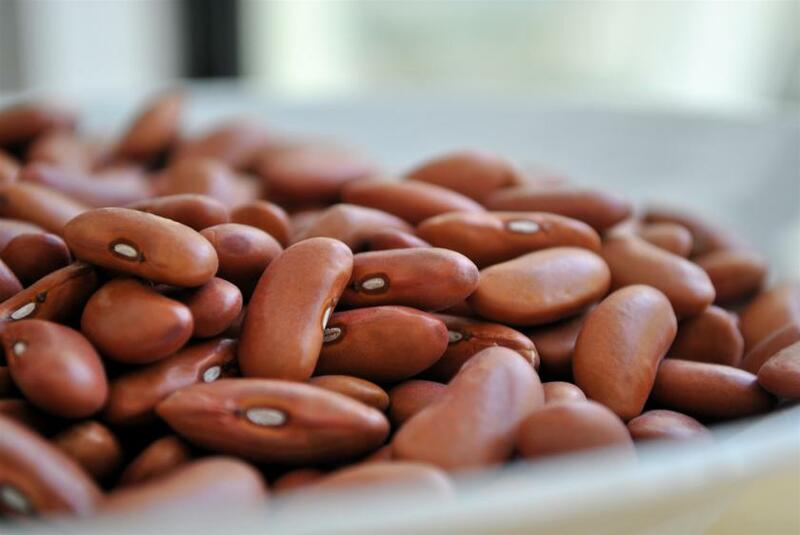 By filling in the gap with fiber, researchers believe beans serve as an adequate substitute for moderate meat eaters. Source: Slavin JL, Bonnema AL, Altschwager D, and Thomas W. The Effects of a Beef-Based Meal Compared to a Calorie Matched Bean-Based Meal on Appetite and Food Intake. Journal of Food Science. 2015.